Your pool, whether it is above ground or in-ground, can bring you years of enjoyment. It will take some work to keep it operating at peak performance though and knowing how the system works will helps the owner to understand how to take care of it. The filter and pump system to your pool is what circulates the water and keeps it clean. Without this system in place you could end up with a green slimy mess on your hands. The pump moves the water through the filtering system that traps debris until you have time to remove it. Filter systems can be slightly different depending on what is being used to filter the water. The most common is sand, but there are also cartridge and Diatomaceous earth filters. The sand filter is normally a container that is filled with a special grade of sand. As the water go through the sand, the sand traps small particles of dirt, oils and algae. As the sand fills with these particles the pressure will slow because the water has a harder time getting through. At this point the filter must be backwashed. Backwashing the filter is the process of reversing the flow and allowing the dirty water to exit the system, either by allowing it to flow into the yard, street or in a sewer system. Once the water flow looks clean, it can be put back into the regular filtering mode. Cartridge filters work the same way except when the cartridge gets dirty it must be taken out of its container and cleaned. This can be accomplished easily with a hose and a brush. The cartridge it then reinstalled and filter operations started again. Cartridges do begin to fray and deteriorate after a while and at that point need to be replaced with a new one. Diatomaceous earth is actually the fossilized exoskeletons of tiny diatoms. They are very tiny and only a small amount is needed in the system. The coat the internal grids and can trap smaller particles than any other system. They are backwashed the same as a sand filter. Pumps can vary some but most work by a standard operation. A typical system is run by an electric motor that turns impellers inside the pump housing. These impellers drive the water from a number of different drains through the filter. Dirt and debris are trapped in the filter and then the water is pushed back into the pool. Directly in front of the pump there is a large strainer basket. This is to catch leaves and larger debris that could clog and damage the pump. On top of the pump is a pressure gauge that tells you when the water is having trouble getting through the filter system. If the pressure is slowing down the filter system needs to be cleaned. Not cleaning the filter in a timely manner can cause damage to the water pump. If air is allowed to get into the system, it can cause the pump to lose prime. This means the pump will no longer be able to move the water. 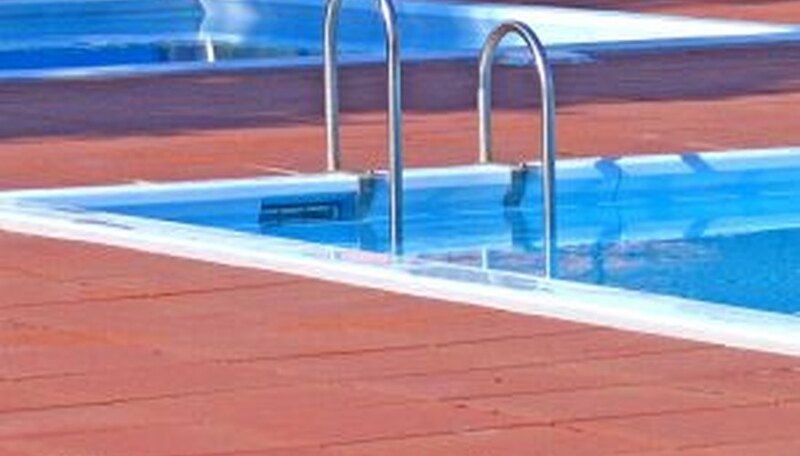 Air in the system can be caused by the pools loss of water to evaporation or a lot of use, or it could be a fitting or seal has deteriorated or hasn't been installed properly. All of these things can easily be remedied with an inexpensive part and about an hour of time.